Few parts of the country have the joie de vivre, creative drive, and constant sense of activity as the Bay Area. No matter what time you choose to visit Hotel Nia, the choices of San Francisco Area festivals, events, and special occasions means there's always something to attend. From Outside Lands and the Monterey Jazz Festival to Cupertino's Diwali celebration, a rich selection of local annual events offers guests at our hotel near San Francisco the chance to experience unforgettable regional culture. 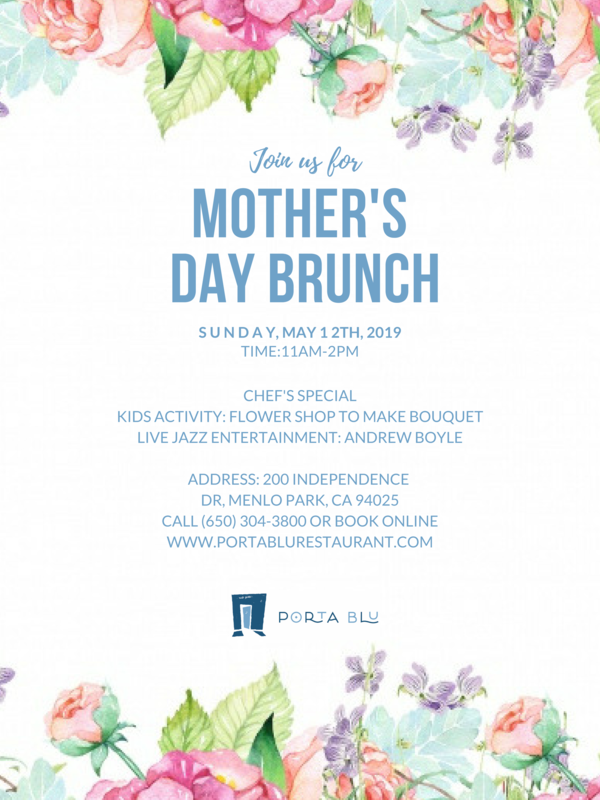 Please join us at Porta Blu for Mother's Day Brunch on Sunday, May 12th from 11am to 2pm. Brunch features the Chef's Gourmet Display of Classics and Brunch Favorites. Bring your family and enjoy a Kid's Activity -- create your own flower bouquet for Mom. Additionally, there will be Live Jazz Entertainment from local musician, Andrew Boyle.